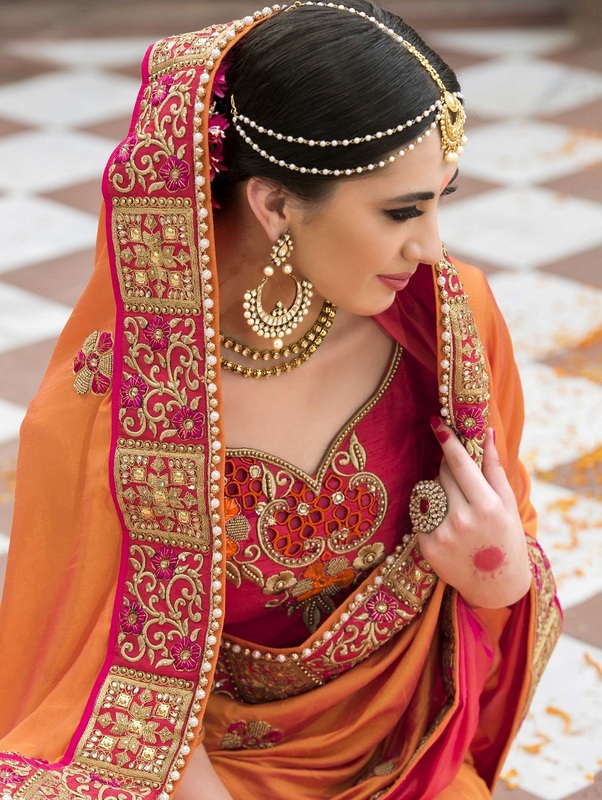 If it is a South Asian wedding, it is bound to be filled with merriment, cheer and gaiety, the one day that almost every girl dreams of all her life is her wedding day. In any culture you find, weddings are pompous and brimming with relatives, guests and the married couple enjoying this auspicious occasion. Comprising of delicate cuisines and a lot of music, a wedding is meant to be enjoyed completely. 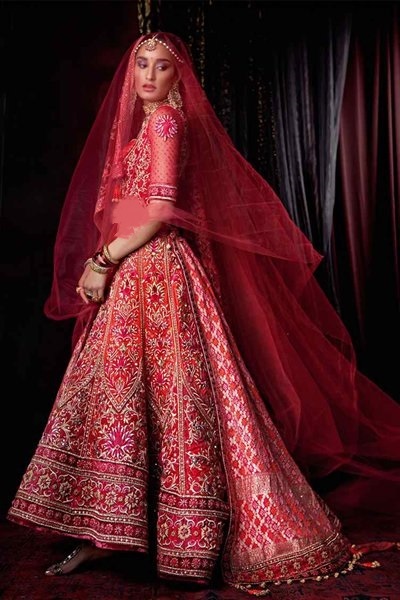 In India, marriages are meant to last for 3 days at the very least and within those three days you will obviously expect the bride to be dressed like a doll and pampered like a princess. The most exciting part about the entire thing is perhaps the shopping! The shopping expedition is an event in itself and is almost like a family get together where everyone troops into stores and shops together. This should also be considered an official custom! 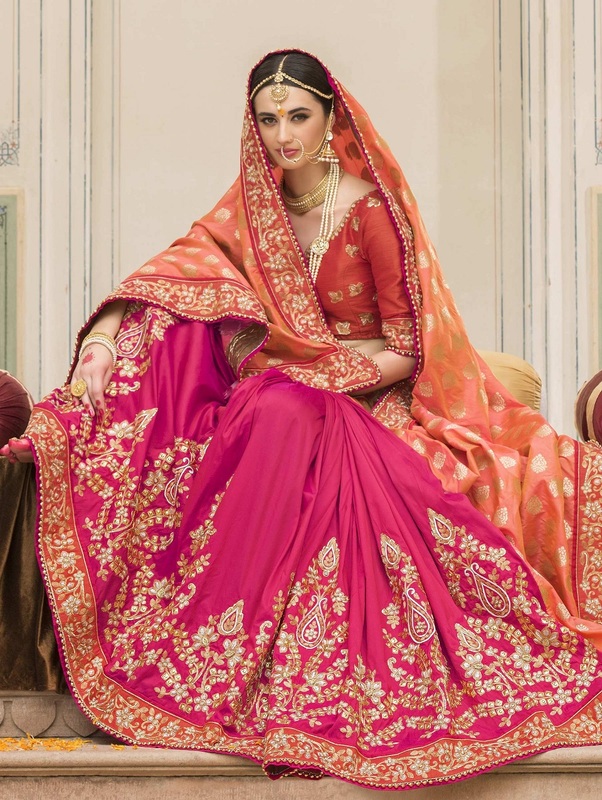 Indian bridal wear is fabricated using distinct materials and designs, In fact you can find tons of designer sarees that have been crafted with detailed embroidery, such patch work definitely captures the minds of all the guests at the wedding. Monsoon weddings are perhaps the most romantic of all, there is almost a fairy tale quality to them and every bride looks like a princess in drapes of her choice. Bridal Sarees usually showcase intricate embroideries, craft works and embellishments that elevate the grace and elegance of the ensemble manifold. 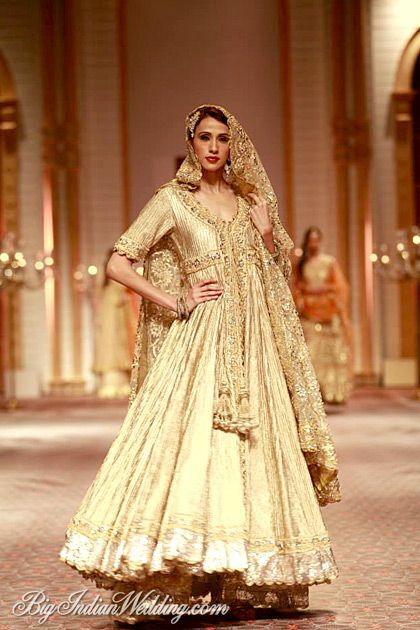 Using fabrics like net, velvet, satin, silk, shimmer and georgette, there are tons of bridal garments being produced. The intricate embroideries and embellishments placed on the manifolds may comprise of kardana, lace borders, thread work, gem stones, Zardosi, diamate, patch work, kundan etc. 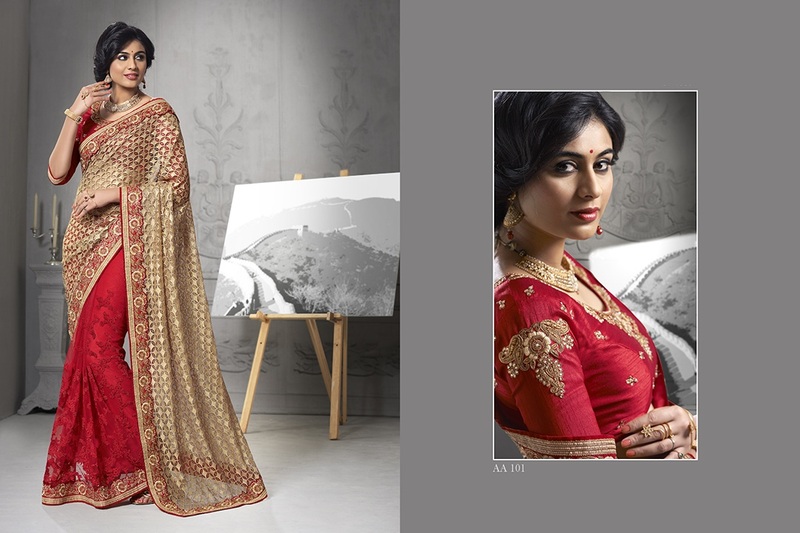 Such garments are fabricated with beautiful crafting such that women look wonderful carrying the grace of a saree. 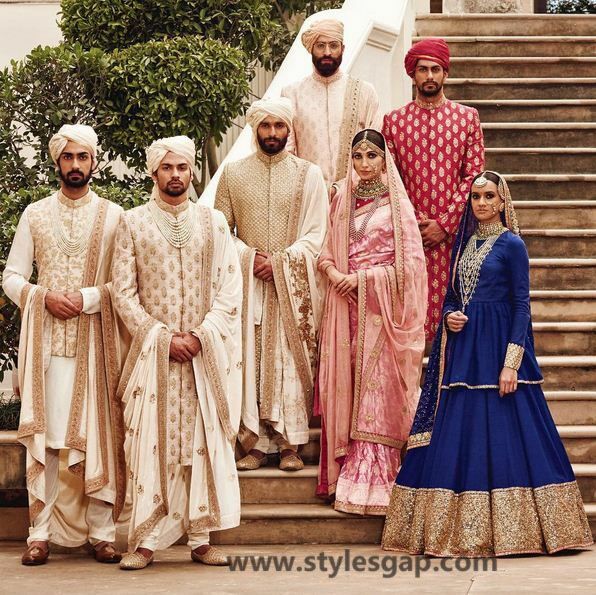 In modern dressing plenty of brides have started experimenting with other shades like gold, turquoise, magenta, baby pink, magenta, forest green, golden, rustic black, off white, beige and several other kinds of shades mixed with embroidery patterns. 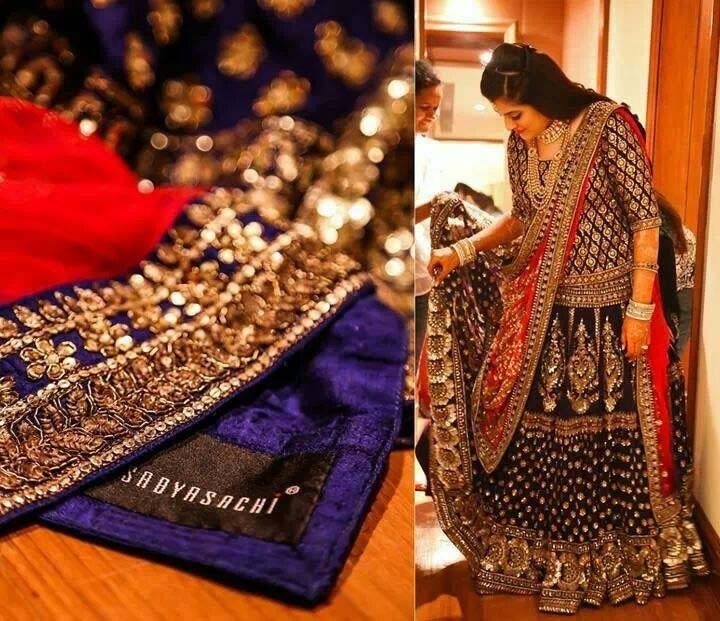 Wearing different styles of sarees has become a common trend in Indian Weddings due to the large number of designer wear that is being introduced into the fashion market, every bride has her unique requirements. 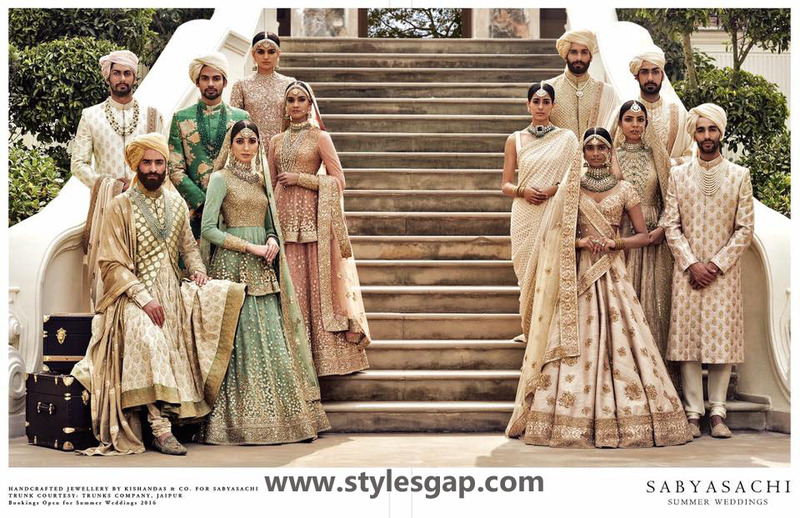 The modern bride aims to strike a balance between traditional conformity and her individuality, while there is a huge list to sort, the bridal sarees tops the list. 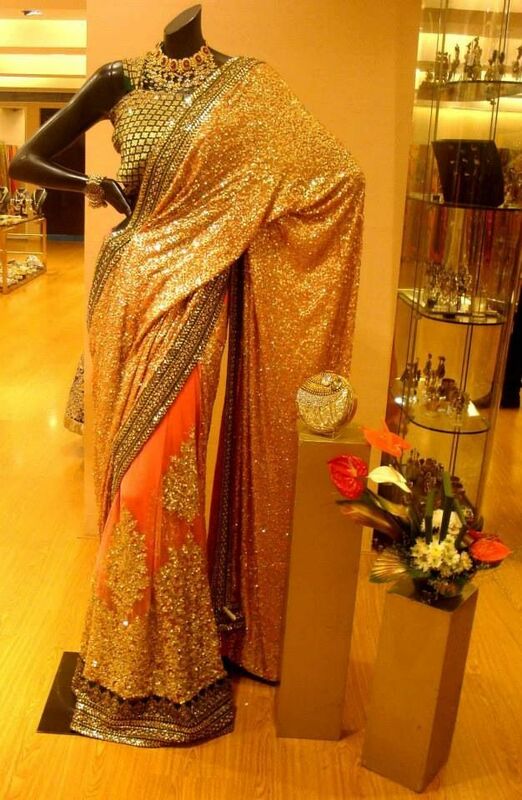 The hunt for the perfect saree usually begins months before the wedding, this involves going to multiple wedding dresses specialists and boutiques to find that one perfect attire for the perfect day. Considering the amount of options available, ranging from different materials to a variety of embroidery, girls definitely have a tough time coming up with just one choice. 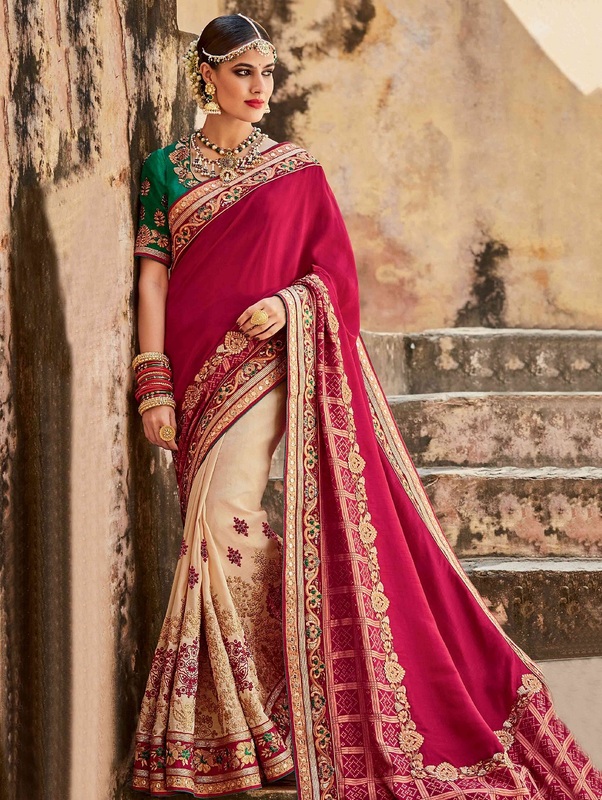 The designers of such beautiful Bridal sarees know that the attire you want to wear on your special day must have some of your own style or essence. 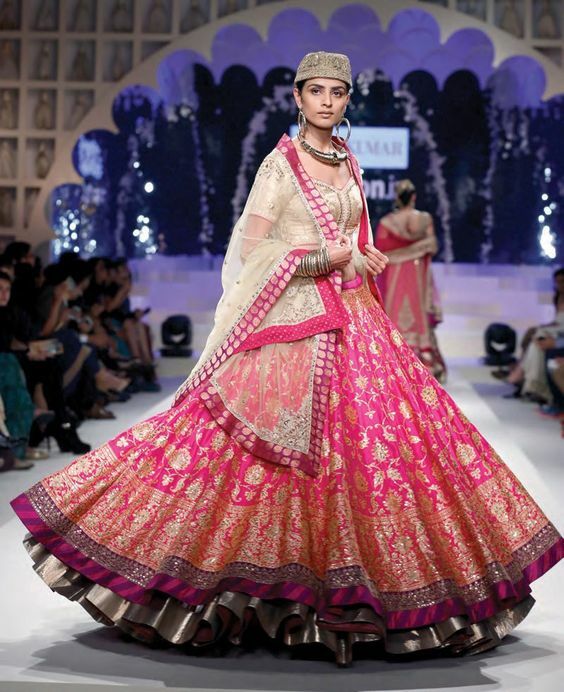 They know that every Indian girl dreams about their wedding attire, to keep this special feeling intact, designers happily incorporate your design ideas and suggestion to make your Bridal lehenga all the more special. SIZZLING GLAMOUR brings you the latest collection of Bridal Sarees Photos for 2017! Enjoy and leave your comments below as they are very valuable to us!